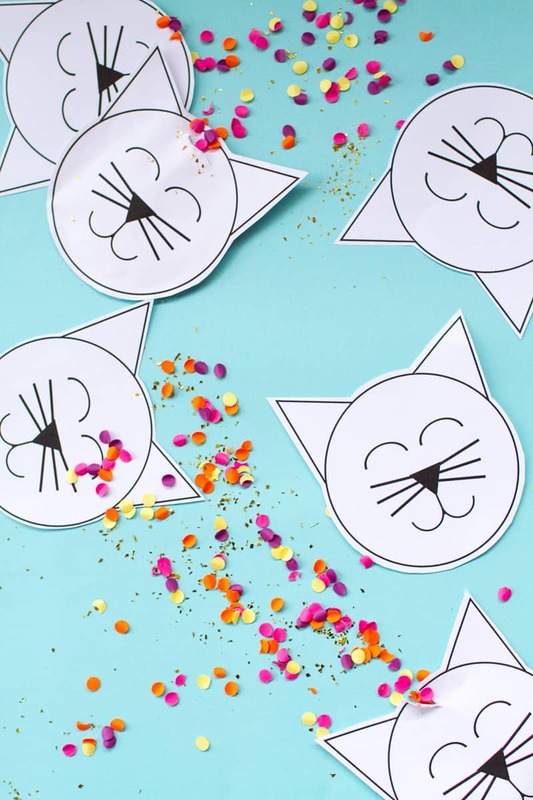 Cute Kitty Cat Confetti Pouches With Free Downloadable PDF! Step 1: Download the Pdf. Step 3: Take the front of you kitty cat pouch and glue around the edges, leaving the space between the ears free of glue. The then do the same to back of your kitty cat pouch. You can then seal the two together, making sure the area between the ears is left open as this is where you will put your confetti. Step 4: Tidy up any overlapping edges with a pair of scissors. Step 5: Add your confetti, then glue the opening shut. Once you are ready to use the confetti just tear the top open and great ready to go confetti crazy! I just love these pouches they are so quirky!